Inaugural ceremony of IEEE – IAS SB Chapter was organized on 2nd February 2018 at 10 a.m. in the Insight Hall (Jyothi Engineering College). In this inaugural function, Er. S. Jayakrishnan, IRSEE, Senior Divisional Electrical Engineer (Traction Distribution), Southern Railway, Palakkad Division has graced the occassion as the Chief Guest. Welcoming the Chief guest and other dignitaries, Mr Jithin.K. Jose (Staff Advisor, IEEE-IAS) has presented the welcome address describing the inception and establishment of the new chapter and AEEE. The inaugural ceremony commenced with the lighting of lamp by a group of dignitaries. The Hon’ble Principal of the institution Fr. Dr. Jaison Paul Mulerikkal CMI delivered the Principal’s address. Speaking on the occasion as the guest of honour Er. S Jayakrishnan, laid stress on the importance of evolving skill training from a young age. 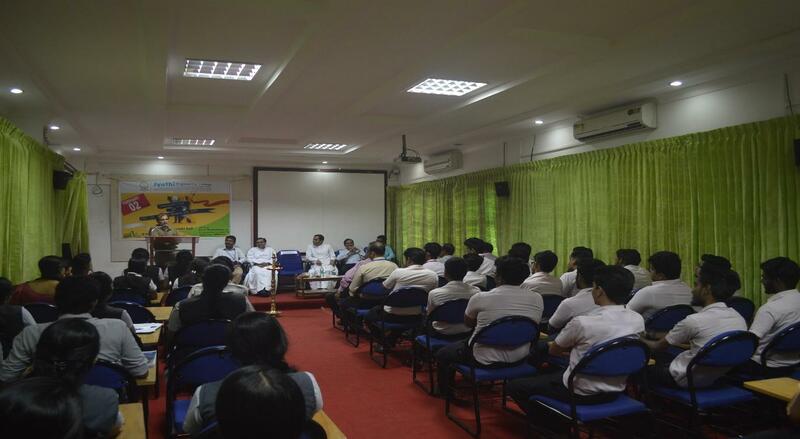 He motivated everyone to actively participate in the workshops to get benefited. In his presidential address, Fr. Roy Joseph Vadakkan (Asst Manager (A&A), JECC) congratulated the entire team of IEEE-IAS by untiring efforts made by them. Er. 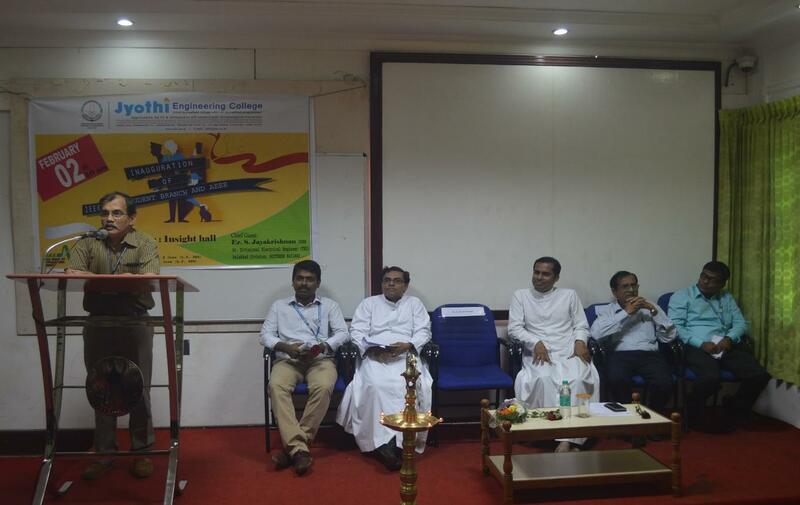 Thomas Mathew (Administrator) and Prof. Ratnan P, HOD (EEE Dept) also addressed the function. In the end, Ms. Geethanjali representative from final year students offered a vote of thanks to all. She thanked all the invited guests and participants for gracing the occasion by their solemn presence.